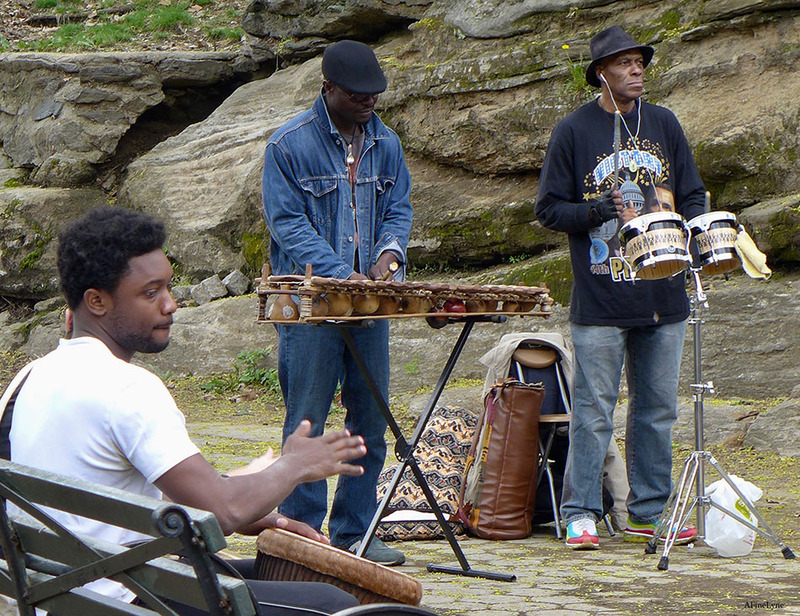 If you happen to be in Marcus Garvey Park on a Saturday afternoon, you might hear the sounds of drums coming from the Madison Avenue side of the Park, between 123rd-124th Streets. 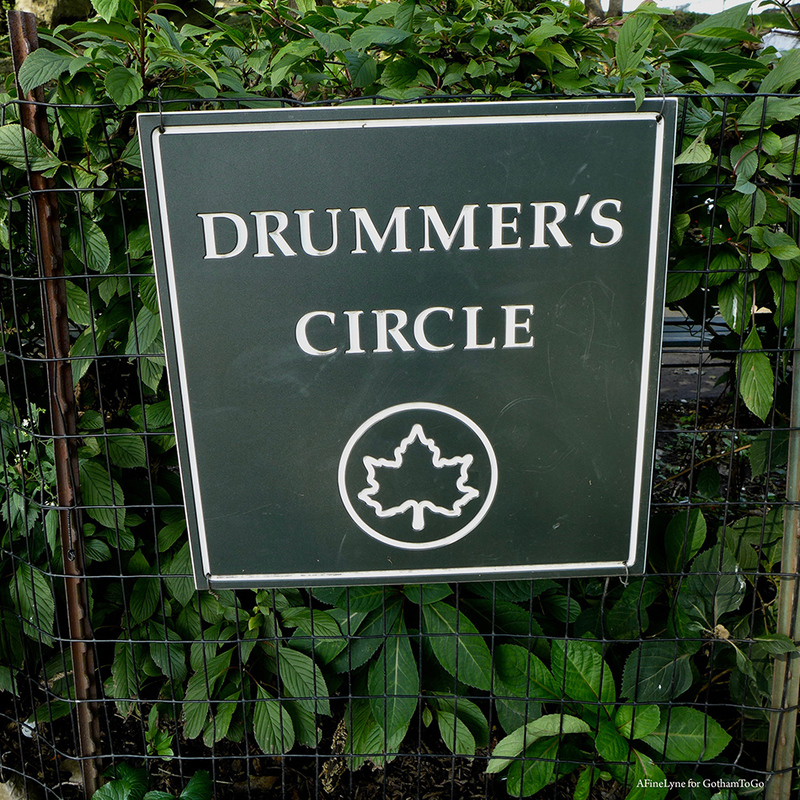 The musicians began gathering around 1969, playing every Saturday afternoon, weather permitting, in an area near Fifth Avenue and 124th Street. Following in an African and Caribbean tradition, dancers in colorful African clothing swayed and twirled to the music, which might also include trumpets, cowbells, tambourines and flutes. Locals looked forward to, and enjoyed the music that filled the air on Saturday afternoons until dusk. With new people moving in and around the Park, not all embraced this musical tradition, and in 2008, a push was made for the Drummers to be moved and in the end, this did occur, giving the Drum Circle its current, permanent location, complete with signage, located at the base of the Acropolis between 123rd-124th Streets on the Madison Avenue side of the Park. 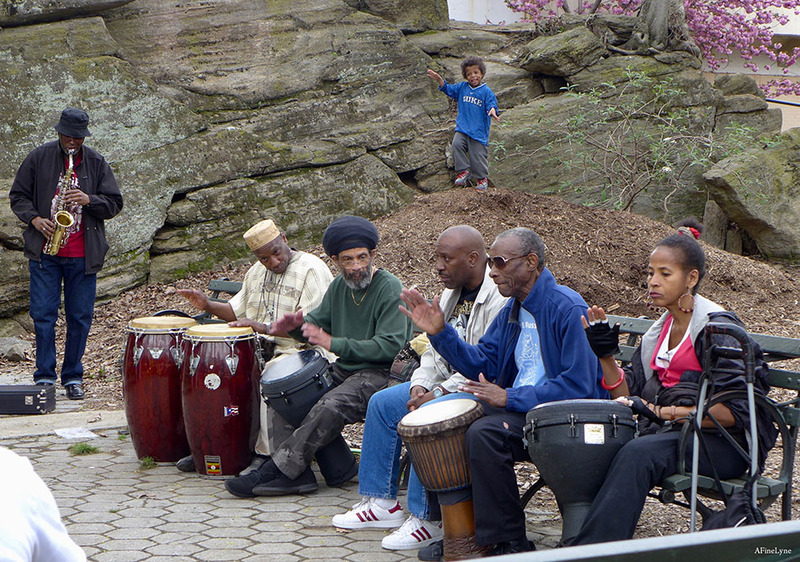 The Drum Circle today is enjoyed by a vibrant mix of ethnicities ~ hundred’s of people frequent Marcus Garvey Park each day enjoying the Park’s playgrounds, basketball court, chess tables, swimming pool, free little libraries, children’s reading circle, and thanks to the Public Art Initiative, a host of large-scale art installations that dot the park on a revolving basis. 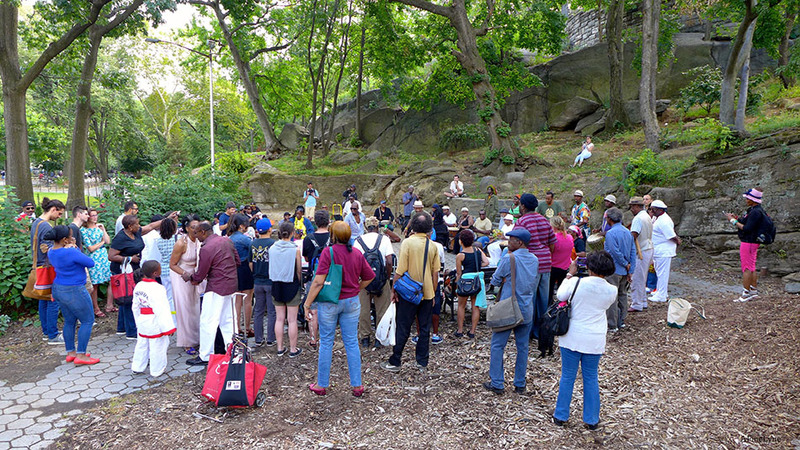 The Park now has a multimillion dollar amphitheater on the south side of the Park, which is the site of the Charlie Parker Jazz Festival each August, Classical Theatre of Harlem, Jazzmobile, the Latin Jazz Festival, community gardening, a Saturday Farmer’s Market, and many other free Park events. 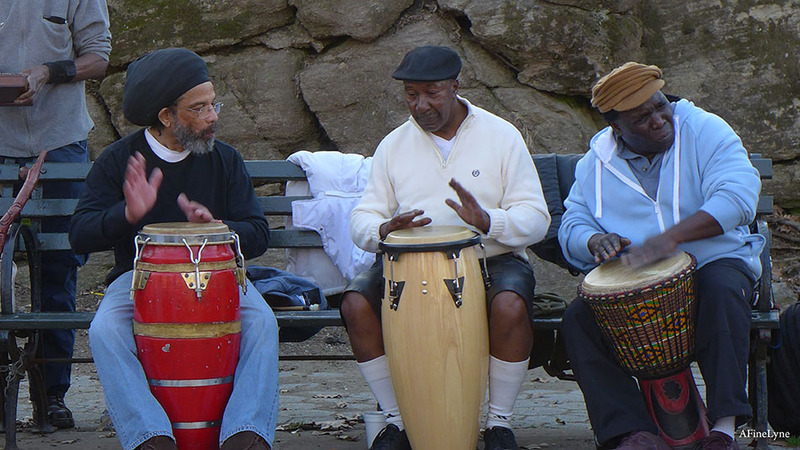 As Marcus Garvey Park moves forward in time with more entertainment, activities and park-goers, the Drum Circle enjoys a larger, and appreciative audience who dance to their music, knowing that they were the first to bring joyful sounds to this Park. 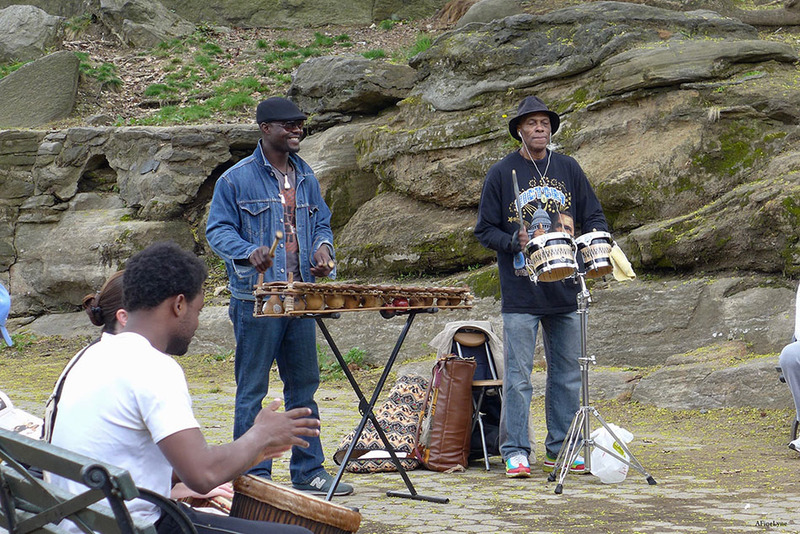 Follow the Marcus Garvey Park Drum Circle on Facebook. 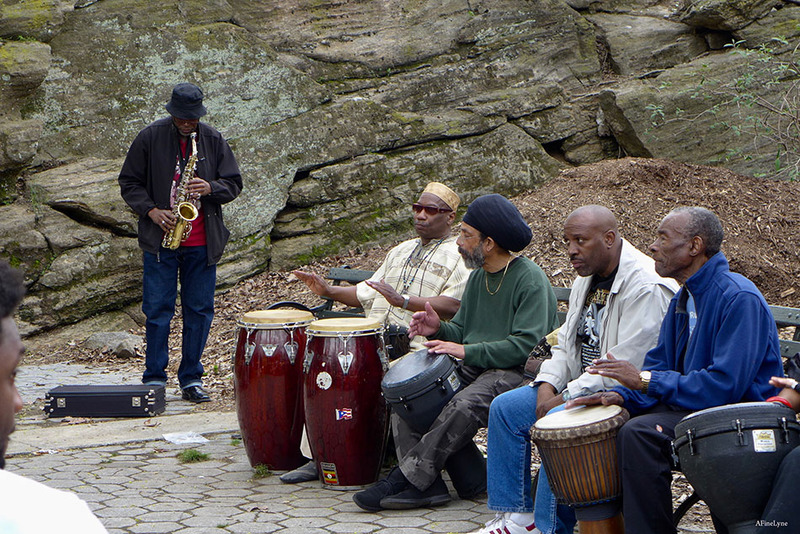 Keep up with what’s going on in the Park on the Marcus Garvey Park Alliance website. Stay tuned for updates on the return of the historic Harlem Fire Watchtower. For more events in Harlem and East Harlem, follow GothamInHarlem.